The average Cairene inhales more than 20 times the acceptable level of air pollution every day, according to the World Health Organization. That means that every Cairo resident’s daily air pollution intake is akin to smoking a pack of cigarettes. Industrial plants — especially factories that burn mazut, a heavy, low-quality fuel used in generating plants — are the biggest culprits, as they emit large amounts of greenhouse gases that feed global warming. With much of Egypt being desert, seasonal sandstorms also contribute to lower air quality, and the growing number of vehicles adds to the problem. Aliya Abdel Shakour, who heads the Air Protection Advisory Unit at the National Research Center, says air pollution can be defined as the introduction of chemicals, particles or biological materials into the atmosphere in a high concentration, over long periods of time. Pollution eventually affects the health of humans, animals and food, and can cause discomfort. “Pollutants can be in the form of solid particles, liquid droplets or gases, and they can be natural or man-made,” says Abdel Shakour. Winds pass through the Western and Eastern deserts so fast that they can carry significant amounts of dust and sand over long distances, covering Egypt’s cities in a yellow haze. “These dust storms usually contain silica, sulfate and carbonate molecules, which clog people’s sinuses and can be extremely uncomfortable,” Abdel Shakour says. The scientist explains that natural air pollutants present a huge challenge to scientists, because they cover huge spaces and are mostly uncontrollable. “However, planting tall, sturdy trees in residential areas can act as an efficient wind and sand breaker,” she adds. 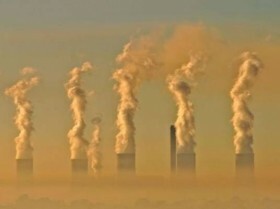 The growing number of cars, factories and power plants, and the use of old heating methods such as burning coal and wood are considered to be the main man-made sources of air pollution. Cairo has more than 2 million vehicles, which release tons of sulfur, carbon dioxide and other pollutants daily, according to a 2011 study by the Central Agency for Public Mobilization and Statistics. Car exhaust fumes contain worrying levels of heavy metals that have been proved to cause cancer. “We shouldn’t be proud of all the cement and steel factories established by Western countries in Egypt over the past two decades,” says Abdel Shakour, who says these highly polluting industries have ruined the health of workers and nearby residents. Although applying environmentally friendly processes to factories is costly, it remains a much cheaper option than getting rid of the pollution emitted by unclean factories. But the reality is that despite promising new measures to hold the industry accountable for air pollution, the Environment Ministry fails to enforce the laws. Yasser Hassan Ibrahim, who heads the National Research Center’s air pollution department, says gases, aerosols and dust particles are the main culprits. He says that air pollution is one of the main causes of heart and lung diseases. “In addition to causing heart and lung diseases, the particles carry different sorts of heavy metals like lead, zinc, nickel and cadmium, which infiltrate the lungs and increase the risk of cancer,” he adds. Until the 1970s, air quality inside homes and work environments was neither particularly studied nor a subject of concern. But the outbreak of diseases caused by exposure to asbestos — minerals with insulation capacities and a resistance to heat and chemicals that made them extremely useful in construction — led to increased awareness about indoor air quality. Indoor air can be of extremely low quality and detrimental to human health, causing a wide range of illnesses, including pneumonia, respiratory problems, allergies and infections. Heating or boiling food, keeping children in rooms with newly painted walls, and having floor coverings containing formaldehyde — an extremely toxic and volatile organic compound that is a known carcinogen — can pose many serious health issues, Abdel Shakour says. “Also, using chlorine, ammonia and other chemicals to clean the floors and walls in the bathroom and spraying insecticide inside the home are also very dangerous,” she adds. Allergies, asthma, itchy eyes, coughing and runny noses aside, the specific health effects of poor indoor air quality depend on what contaminants the air contains, and on how long and to what extent people are exposed. Most people ignore the fact that household dust consists of a wide variety of organic and inorganic particles that collect in homes, and that most of the dust is shed skin cells, which explains why the dustier rooms in a house are the ones used most regularly. This dust can also be composed of fabric fibers from clothes, sand and soil particles, plant and insect particles, and many other components. “Houses need to be properly ventilated, especially the children’s rooms,” Abdel Shakour says. Mohamed Abdel Meguid Halawany is a 40-year-old welder. He has been suffering from severe asthma attacks for more than 10 years. “Doctors told me that my work environment is unhealthy and is causing my chronic disease. Unfortunately, I can’t leave my job, as I have a big family. I will have to work until I die,” he says. 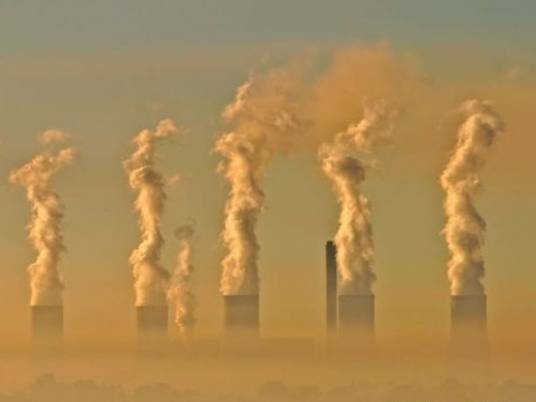 Dr. Ahmed Hany Belal, a doctor specializing in heart and chest conditions, outlines the main diseases that spread because of high pollution rates. “In general, respiratory diseases are mainly transferred from one person to another by droplet infection, especially in crowded places like schools and offices. Of course, air pollution leads to bronchial congestion and increases the tendency of chest patients to have severe asthma attacks, even if their cases are stable,” he says. He adds that it is vital that people know the importance of keeping patients in a separate room. “It’s time to stop the bad hugging and kissing habits we have in our Arab countries. Also, the patient must be alert to some symptoms, like coughing, chest muscles pains, breathing difficulties, fever or weight loss, and must go and see the doctor immediately,” Belal says. Belal warns of the dangers of using air conditioners without washing filters and having the required regular maintenance checks. Air conditioners and fans can transmit legionella bacterium, which causes pneumonia. He believes environmental issues must be included in schools’ educational curricula to raise children’s awareness about, and dedication to, the environment. Imposing laws isn’t the appropriate solution, he says, because there are many air pollution regulations that simply aren’t implemented. A 2002 World Bank report estimated that environmental damage caused by pollution costs Egypt US$2.42 billion each year. The country’s gross domestic product was worth just under $230 billion in 2011.